I really, really, really enjoyed doing this piece! 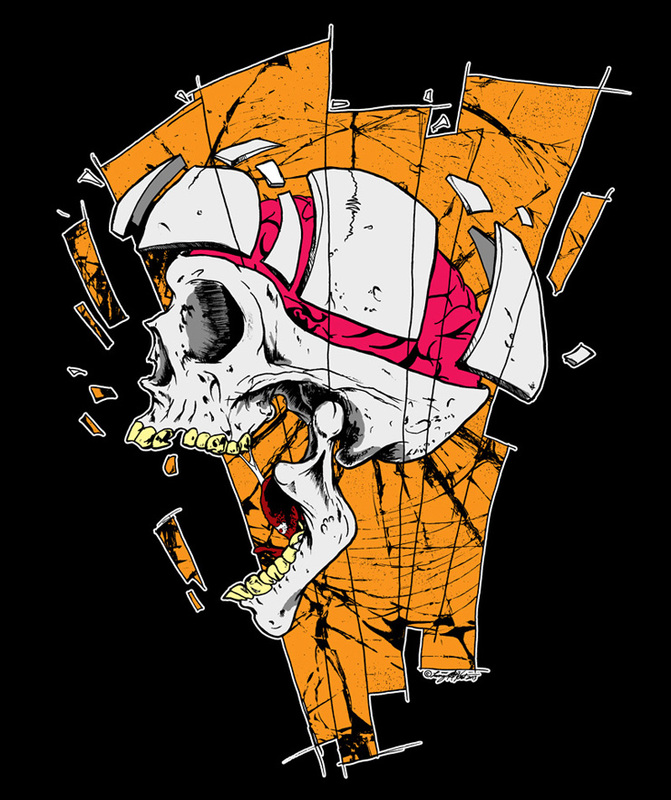 The piece is a skull going through different planes while the mind is shattered in a million pieces. I just went through penciling it easily, but inking it was something else. I didn't think I would get it done in a day, but it wound up working out. I'm a big fan of both traditional inking and Pushead, and I debated doing a bit more texture work on it. At the same time, it feels right keeping it this simple. The only regret I have is that I used a broken glass photo from the net for the background. Next time I'd rather break my own glass or, even better, ink it like that!